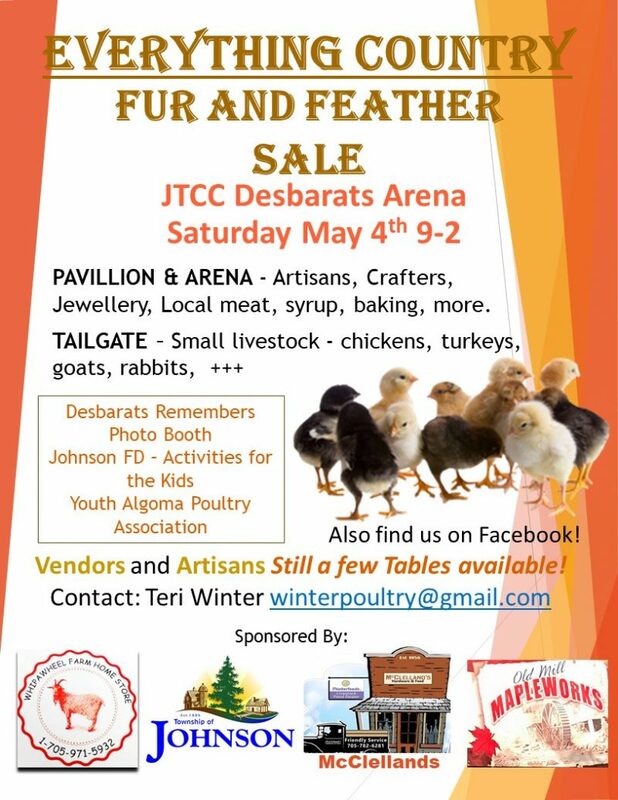 Johnson Township Recreation is pleased to announce their sponsorship of the Everything Country Fur and Feather Sale. The event was a huge success last year and there are more vendors signed up for this year. Click on the image to download a jpg of the poster…and see you there. Updated info is available on the Everything Country Fur and Feather Sale HERE.